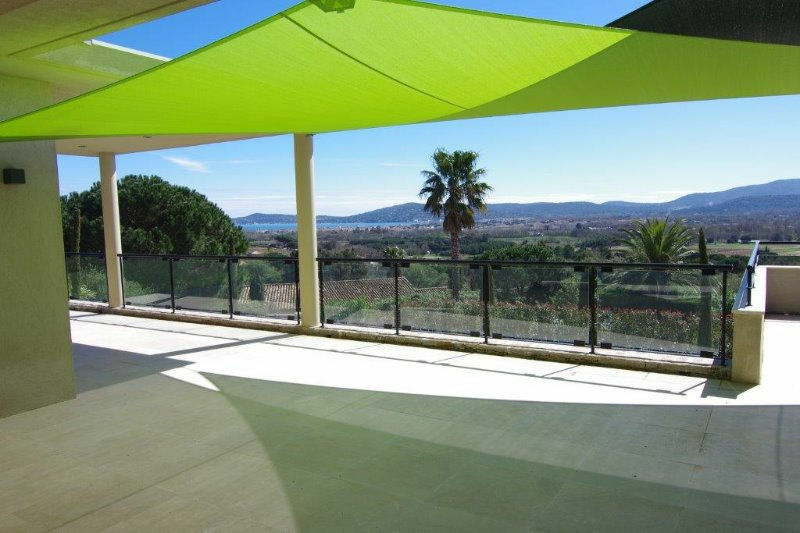 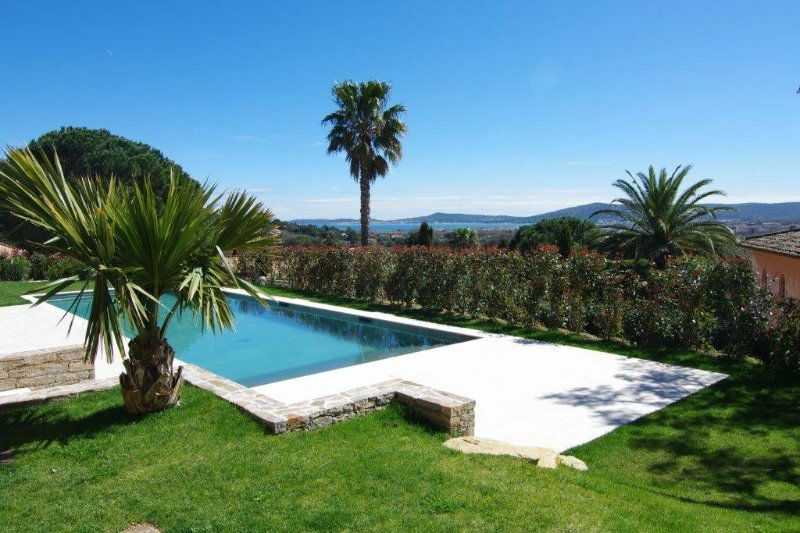 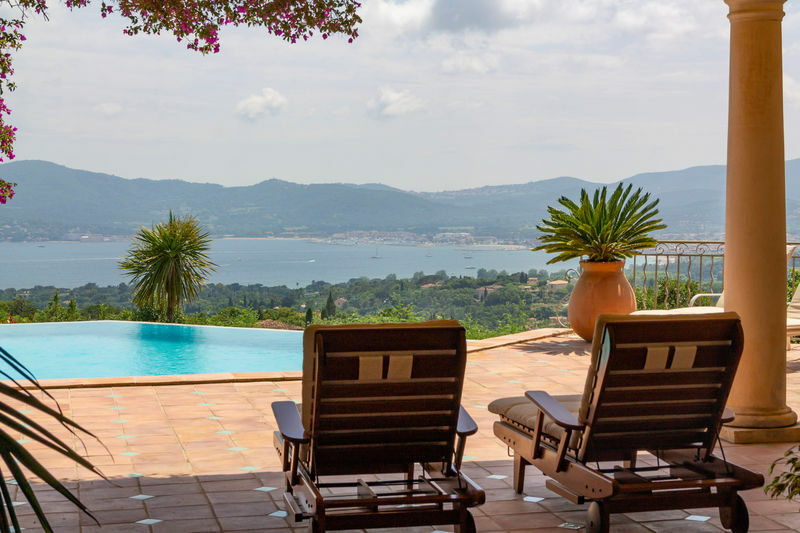 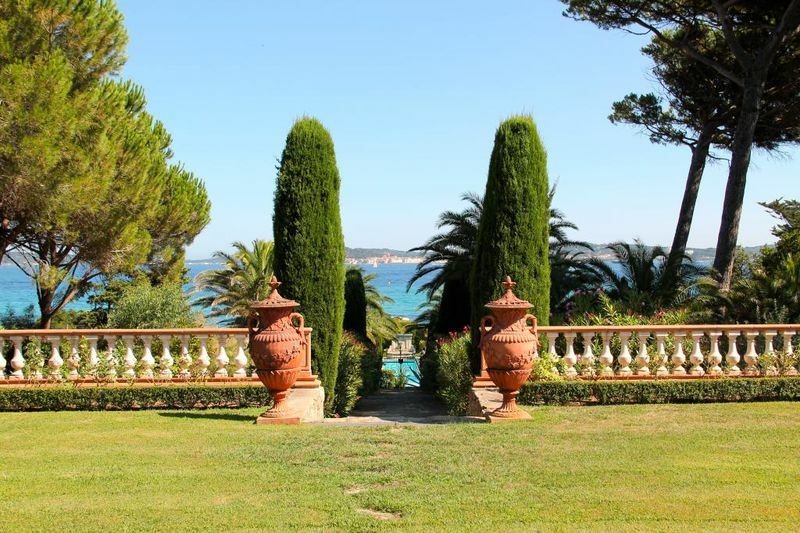 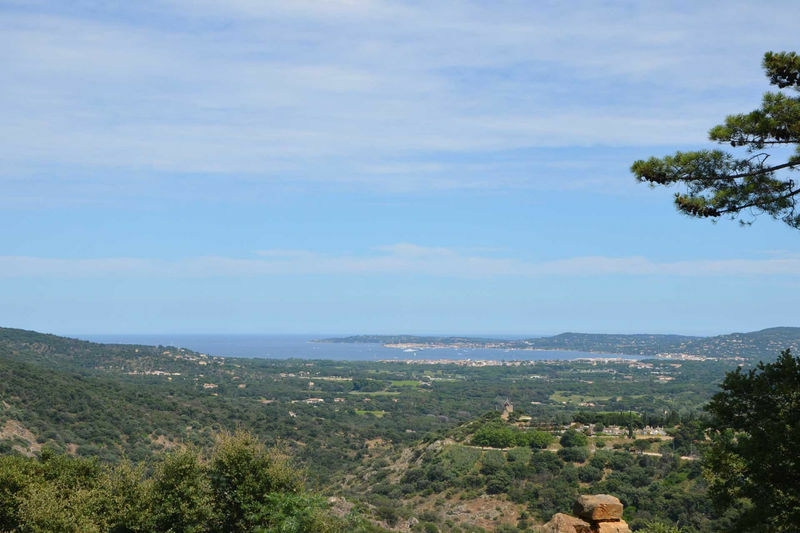 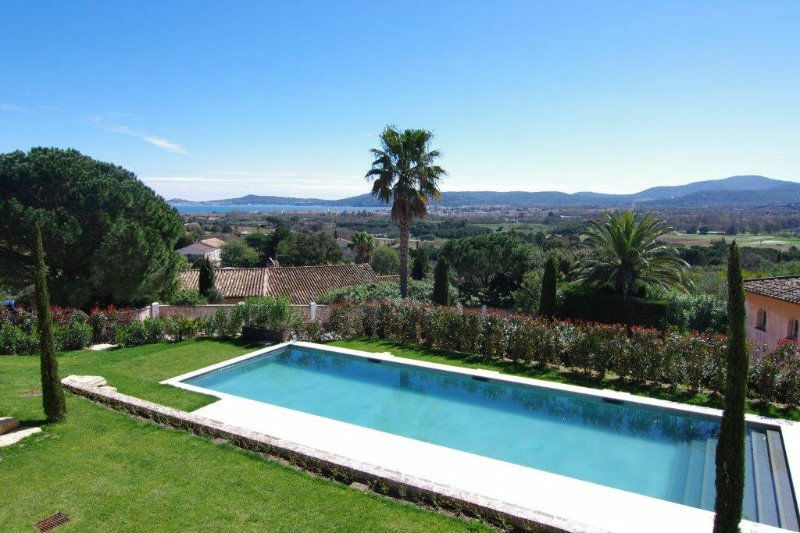 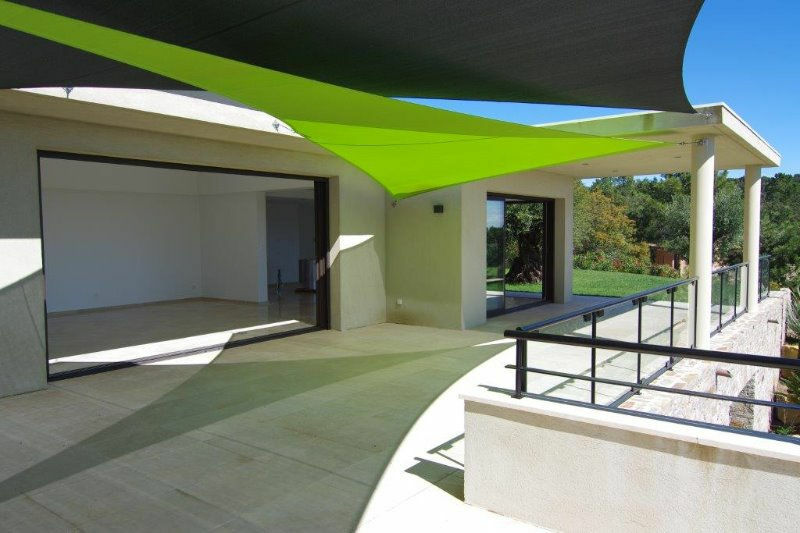 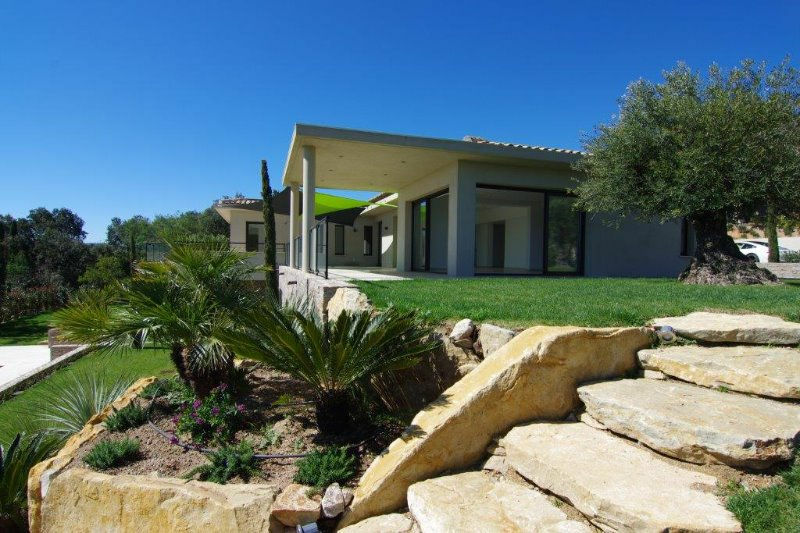 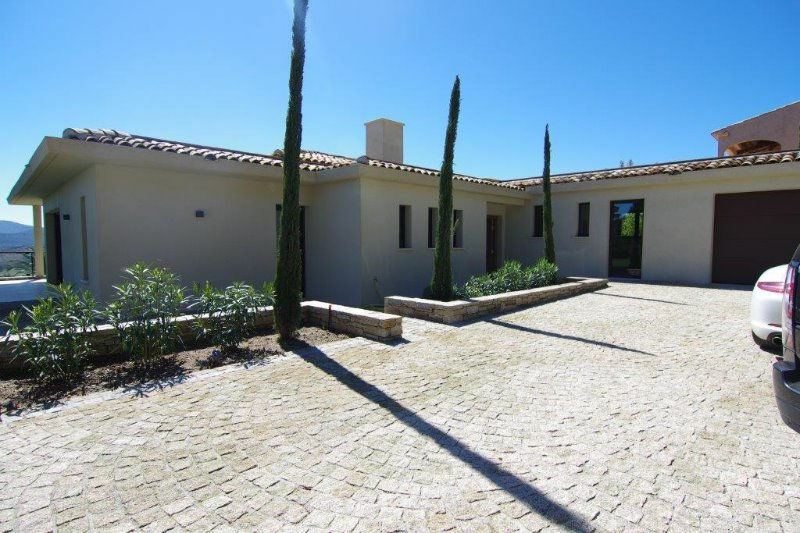 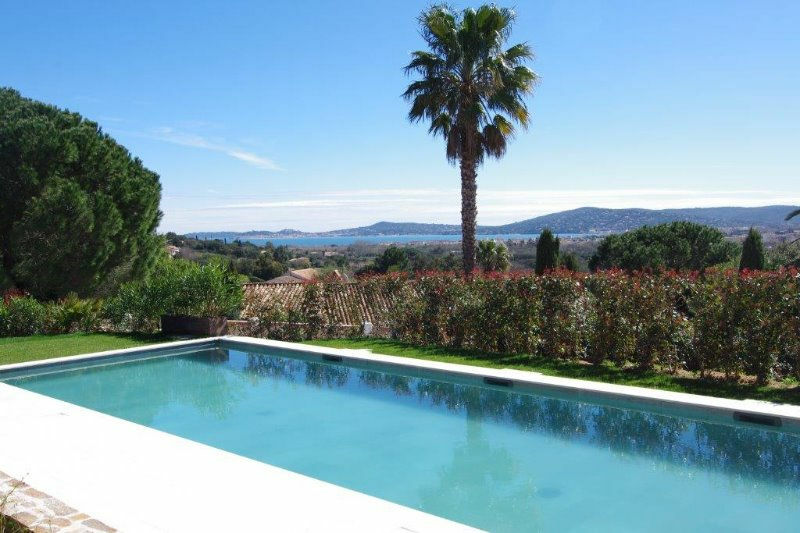 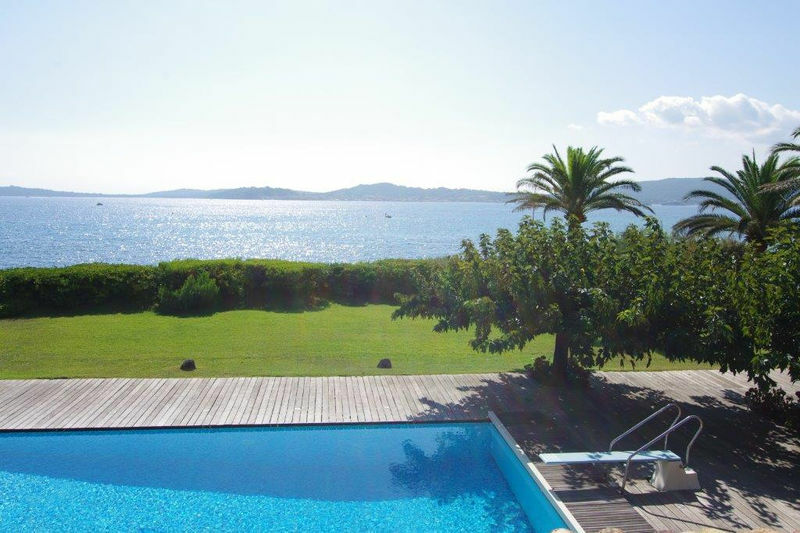 Property situated on the ground of Grimaud, conveniently located in a small private domain, halfway between Grimaud village and the marine of Port Grimaud, overlooking the entire bay of St.-Tropez and village. 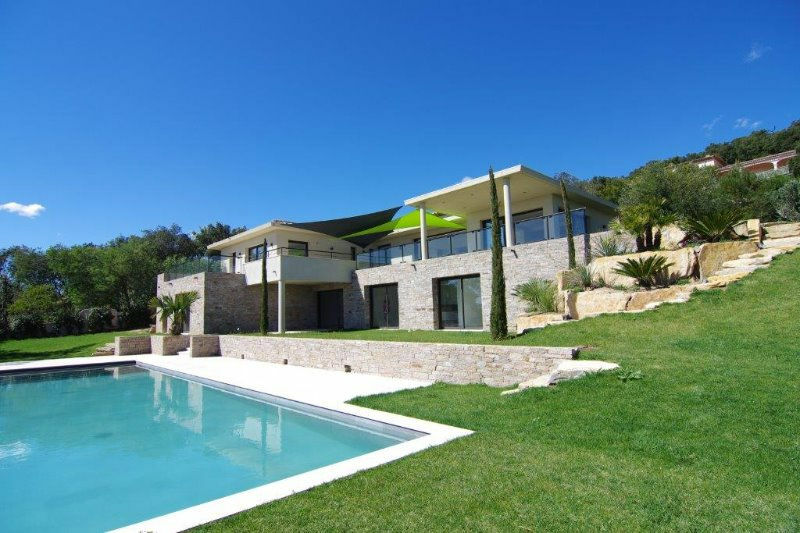 The 4 bedroom villa of approx. 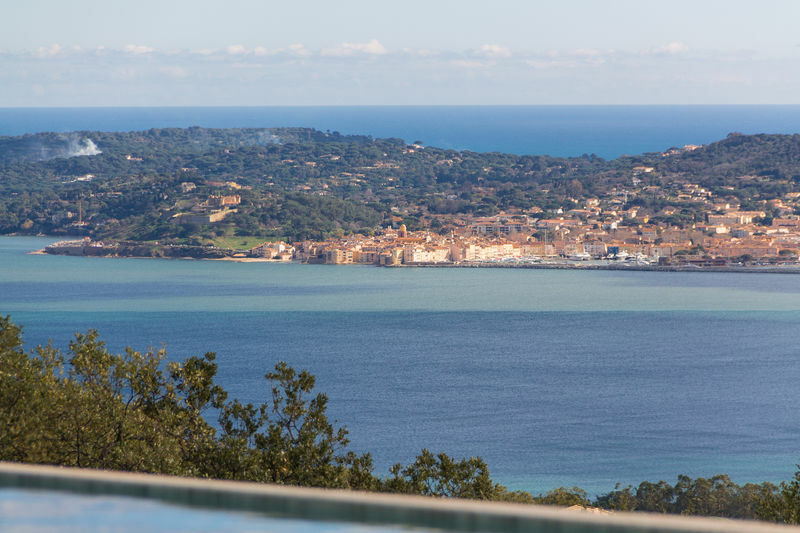 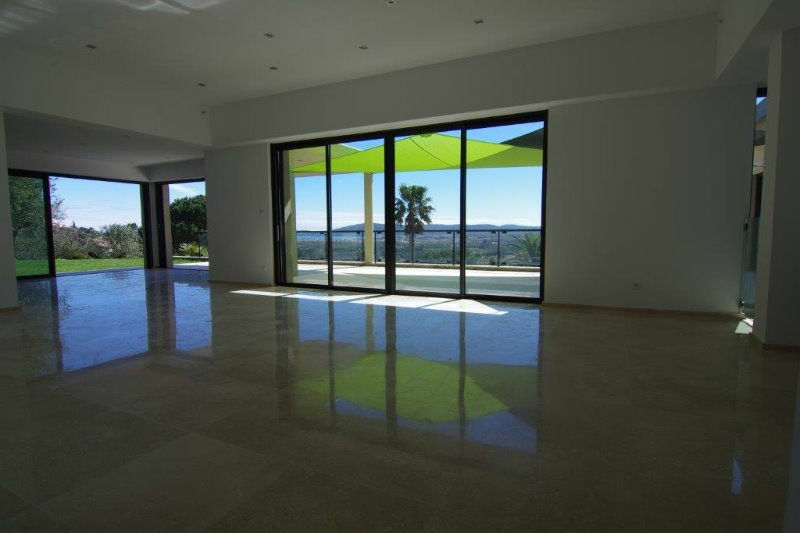 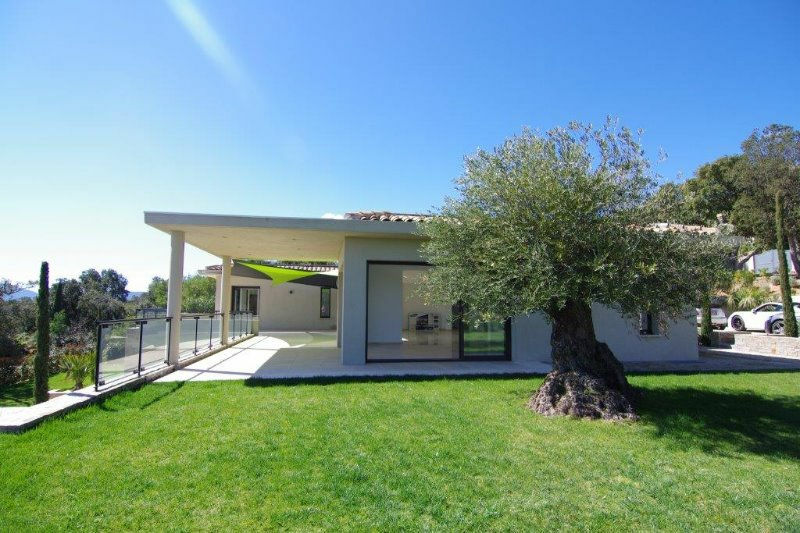 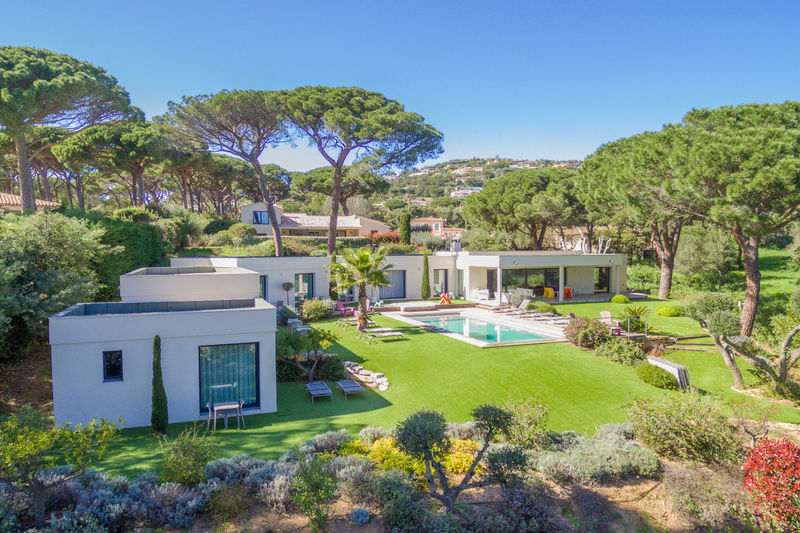 300 m² is newly built in a contemporary style; all rooms are very bright and offer a nice sea view on St-Tropez bay and village, top to bottom glass sliding doors with access to the panoramic terraces, the garden and pool. 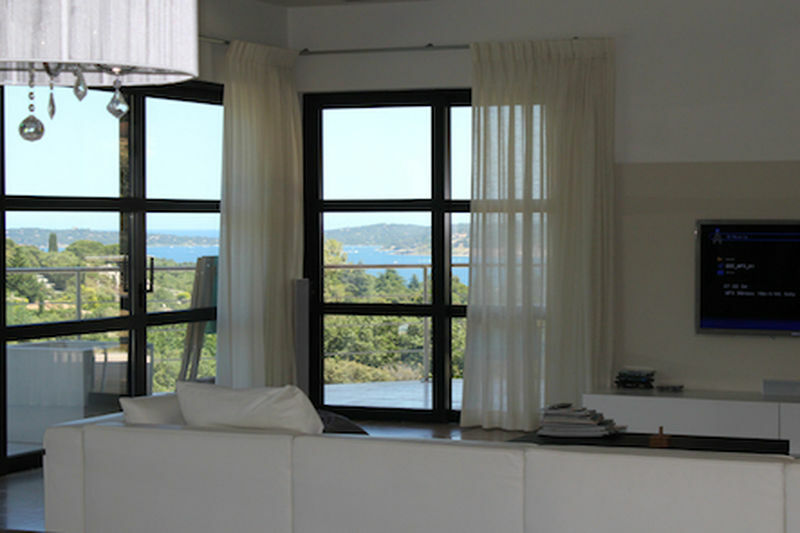 (! 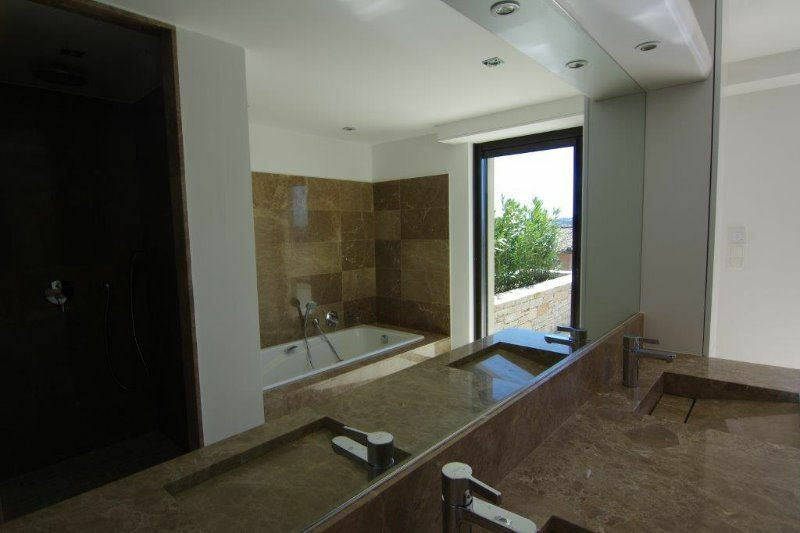 Possibiity to build a 5th en suite bedroom).